The Venezuelan-born, Spanish conductor José Luis Gomez was catapulted to international attention when he won First Prize at the International Sir Georg Solti Conductor’s Competition in Frankfurt in September 2010, securing a sensational and rare unanimous decision from the jury. Gomez’s electrifying energy, talent and creativity earned him immediate acclaim from the Frankfurt Radio Symphony Orchestra where he was appointed to the position of Assistant Conductor, a post created especially for him by Paavo Jarvi and the orchestra directly upon the conclusion of the competition. Since then he has worked with the RTVE National Symphony Orchestra of Madrid, Orquesta Filarmónica de Gran Canaria, Houston Symphony Orchestra, National Arts Centre Orchestra of Ottawa, Hamburg Symphony, Weimar Staatskapelle Orchestra, Karlsruhe Staatstheatre Orchestra, Basel Sinfonietta, Orquesta Sinfonica do Porto, Castilla y Leon Symphony Orchestra, Grand Rapids Symphony, Alabama Symphony, the Chamber Orchestra of San Antonio, Winnipeg Symphony Orchestra, the Macau Orchestra, Pomeriggi Musicali di Milano Orchestra. Opera highlights have included La Bohème at Frankfurt Opera and a new production of Rossini’s La Cenerentola at Stuttgart Opera, of which he also conducted the revival in the following season, La Forza del Destino in Tokyo with the New National Theatre, Don Carlo and Norma at The State Opera in Tbilisi, Georgia, La Traviata in concert with Sacramento Philharmonic Orchestra, Le Nozze di Figaro and Don Giovanni with Teatro Sociale di Como, with whom he also closed their season with a spectacular production of Cavalleria Rusticana. 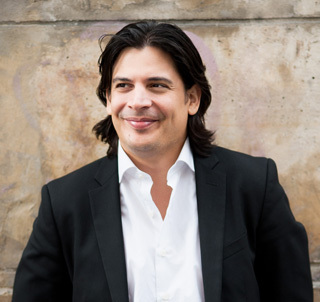 This season will see Gomez enter his third year as Music Director of the Tucson Symphony Orchestra, where he will conduct a variety of works, including: Strauss’ Also Sprach Zarathustra, a co-commission of the new “Concierto de Otoño” Trumpet Concerto by Mexican composer Arturo Marquez, featuring fellow Venezuelan Trumpeter Pacho Flores, alongside major solo works such as: Mahler’s Fifth Symphony, Bruckner’s 7th, Beethoven’s Violin Concerto in D major with Anne Akiko Meyers, Brahms’ Violin Concerto with Midori and Tchaikovsky’s Piano Concerto No. 1 with Barry Douglas. Gomez will feature as guest conductor with return visits to the Edmonton Symphony, Louisiana Philharmonic Orchestra and Chamber Orchestra of San Antonio and a debut with Komische Oper Berlin with pianist Gabriela Montero. In 17/18, with the Tucson Symphony, Gomez conducted concerts including Yo-Yo Ma, Arturo Sandoval and Gil Shaham, and two programmes with the Tucson Desert Song Festival; celebrating the 100th anniversary of Leonard Bernstein’s birth and the world premiere of a work by Anthony Constantino, an alumnus of the TSO’s well-known Young Composers Project. Gomez’s recent highlights also included a return visit to the Daegu Symphony Orchestra, as well as conducting the Solasian Youth Orchestra at the Daegu Festival, the orchestra of the Australian National Academy of Music in a Celebration of Bernstein, the Dunedin Symphony Orchestra, Orquesta Sinfónica de Tenerife, Bogota Philharmonic Orchestra and the Royal Scottish National Orchestra. He has also featured with the Colorado Symphony Orchestra, recording Bela Fleck’s Second Concerto for Banjo and Orchestra “Juno Concerto”, made his debut at Carnegie Hall with YPhil Youth International Philharmonic, and conducted the MGD CD release of the Nielson, Francaix and Debussy Clarinet Concertos with talented young clarinettist Vladimir Soltan and the Hamburg Symphony Orchestra. Other memorable performances included debuts with the Moscow State Conservatory, the widely televised New Year’s Eve concert with Soprano Federica Lombardi in Sofia, Royal Liverpool and Rochester Philharmonic, Vancouver, Pasadena, New Zealand, Elgin Symphony and the National Taiwan Symphony Orchestras, Sinfonia Varsovia, Orquestra Sinfonica Brasileira and SWR Radio Sinfonie-orchester Stuttgart. Gomez also conducted the Frankfurt Radio Symphony Orchestra in their New Year concerts and several other projects. Maestro Gomez was the principal conductor of the Orchestra 1813 Teatro Sociale di Como between 2012 and 2015 and is Musical Director of the Tucson Symphony Orchestra.